Individuality is what defines this exquisite line of hand-blown glass. This ancient technique of fine craftsmanship ensures that quality and originality is at the heart of every piece. 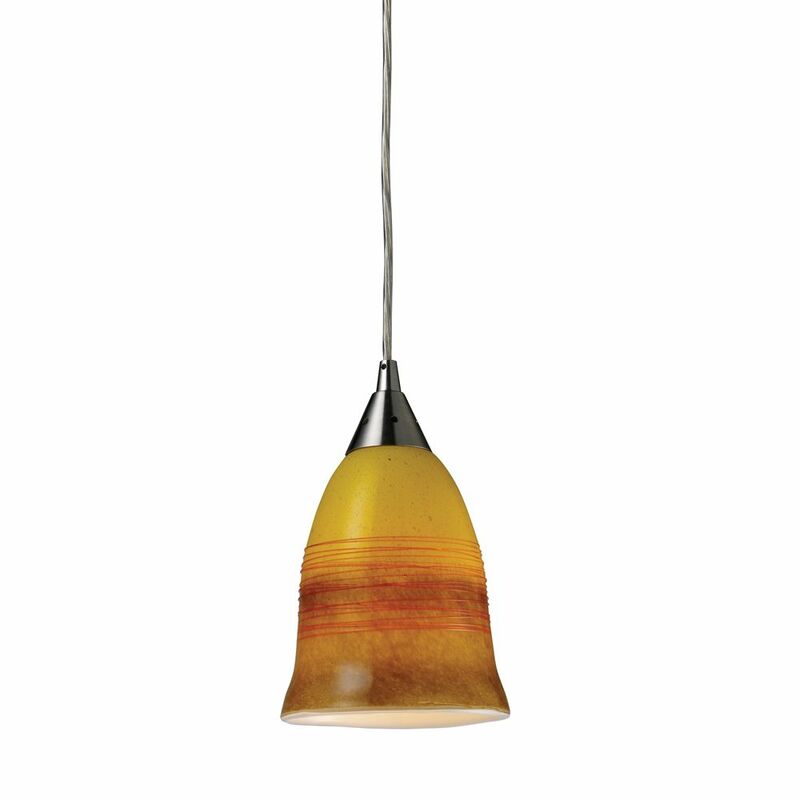 Each piece is meticulously hand-blown with up to three layers of uncompromising beauty and style. This art is performed only by skilled craftsmen who uphold the highest standards to ensure a unique identity throughout each layer. The special technique of layering allows light to spread evenly across the glass resulting in a warm glow over the entire surface. This collection offers a choice of many unique designs in a variety of colours and styles, allowing these Italian inspired works of art to be adaptable to any decor. Horizon 1-Light Satin Nickel With Earth Glass Pendant Individuality is what defines this exquisite line of hand-blown glass. This ancient technique of fine craftsmanship ensures that quality and originality is at the heart of every piece. Each piece is meticulously hand-blown with up to three layers of uncompromising beauty and style. This art is performed only by skilled craftsmen who uphold the highest standards to ensure a unique identity throughout each layer. The special technique of layering allows light to spread evenly across the glass resulting in a warm glow over the entire surface. This collection offers a choice of many unique designs in a variety of colours and styles, allowing these Italian inspired works of art to be adaptable to any decor.